New Hulu Original Doozers Brings Entertainment to Kids! I'm a HUGE fan of Hulu. My husband and I watch it nightly after the kids go to bed to catch up on our favorite shows. Since we don't have cable, Hulu has always been a affordable way to watch the shows everyone is buzzing about, and the Hulu Originals top our list of episodes to catch first! Historically, the Hulu Originals have always been for adults. In fact, there are more than a few shows that I indulge in that I definitely wouldn't want the kids to watch with me. For the first time ever, Hulu has created an Original series just for the tykes, however. It's called Doozers, and I'm very excited to see it today! Doozers is the first Hulu Original for kids! The animated preschool show from the Jim Henson Co. ("Dinosaur Train," "Sid the Science Kid") and DHX Media encourages kids to design and create. 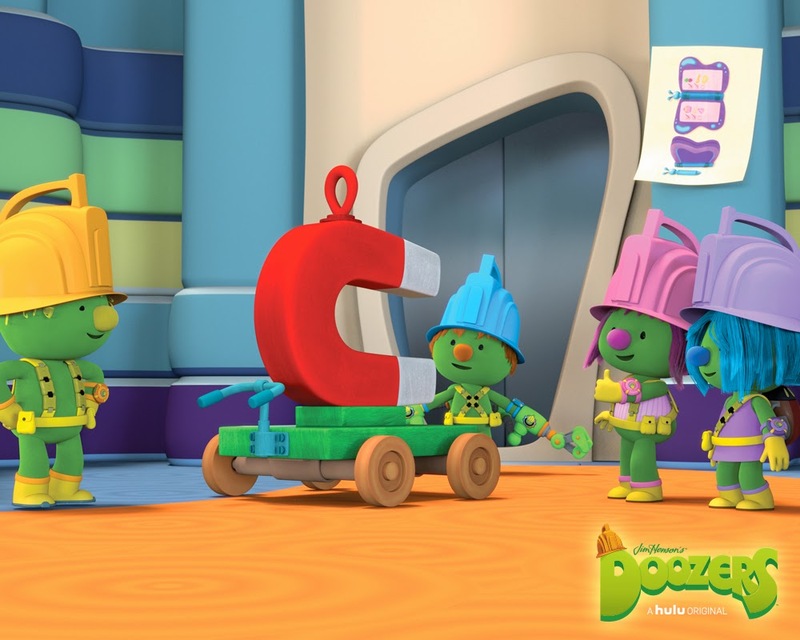 Inspired by the "Fraggle Rock" characters, it features the four Doozers kids from Doozer Creek, known as "the Pod Squad," who put their ideas into action. Those of you with Hulu Plus subscriptions can start watching this new foray into kids entertainment TODAY! Those of you who don't can enter our giveaway below to get access. Get more info on the show by visiting Hulu Kids, Liking Hulu on Facebook or Following Hulu on Twitter! Wanna Win? We are giving one lucky reader a 3-month subscription to Hulu Plus (awarded via promotional code). To be entered to win, just comment on this post with if you've ever watched a Hulu Original show before. You have until May 3rd at 11:59 pm CST to get your entries in. One entry per person. Open to U.S. residents ages 18+. *Prizing courtesy of Hulu. Hulu Plus gift subscription has no expiration date.